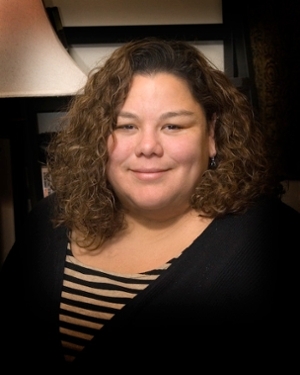 Home / Our People / Faculty / Cinema and Photography / Angela Aguayo Ph.D.
Angela J. Aguayo's teaching, research and media practice reflect a strong interdisciplinary focus on digital documentary studies and production, rhetoric, critical and cultural studies. She has published book chapters and essays focused on the civic potential of the documentary genre to engage the process of social change, this includes attention to the aural and visual aspects of documentary texts that constitute collective political identity and the new technologies used in conjunction with the genre to mobilize participatory publics. Angela is currently writing her second book, Activist Documentary and Media Cultures. She just returned from the International Association of Media and Communication Research conference in Mexico City where she presented her work on viral video and also presented her conceptual framework for Activist Documentary Studies at the Visible Evidence XVI conference in Los Angeles. Angela also produces activist documentary video shorts utilized in local political struggles which have screened at various festivals including the Cinematexas International Film Festival, Spark Film Festival and the New York Underground Film Festival. Documentary theory and social change, critical/cultural studies, video production.